If you own a smart anything you need this-smart phone, tablet, camera ect. 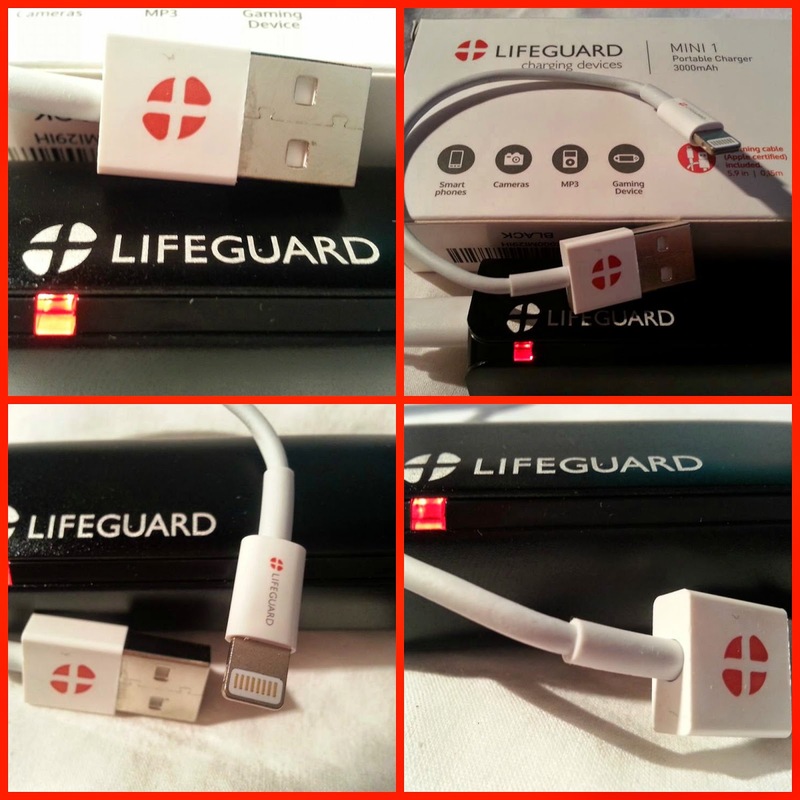 +LIFEGUARD MINI 1 PORTABLE CHARGER is truly this moms lifesaver. It is easy to use and quick charging. The charger is about the size of a tube of lipstick, it is a little heavier than other chargers I have used in the past but that was really not an issue. The point is it does it's job, it keeps me connected and keeps me charged. I can't always use a wall wart plug in because it is not hand when I am out and about at many of my children's functions. There is LED light that is red when it is recharging the battery pack and the light goes out when charging is done. This same LED light then turns blue when you plus it in to your device to charge it. I truly love this portable charger! It's a great product that i use almost daily. 1. HIGH QUALITY BATTERY: +LIFEGUARD MINI 1 Portable Charger is a PREMIUM Power Bank that has a reliable Samsung battery 3000mAh Grade A Cell. Using this amazing mini portable charger you can fully charge your device and still have juice leftover. 2. SIZE AND DESIGN: The +LIFEGUARD MINI 1 Portable Charger comes in a convenient size and an attractive design. Using this power bank you can charge your phone even in your pocket without discomfort. 3. 5.9-inch LIGHTNING CABLE (APPLE COMPATIBLE) INCLUDED: When you buy the +LIFEGUARD MINI 1 Portable Charger you also get a lightning cable ($10 value). The convenient 5.9-inch lightning cable is Apple compatible and will charge and sync your iPhone 5, 5C, 5S, 6. Just the right size! 4. 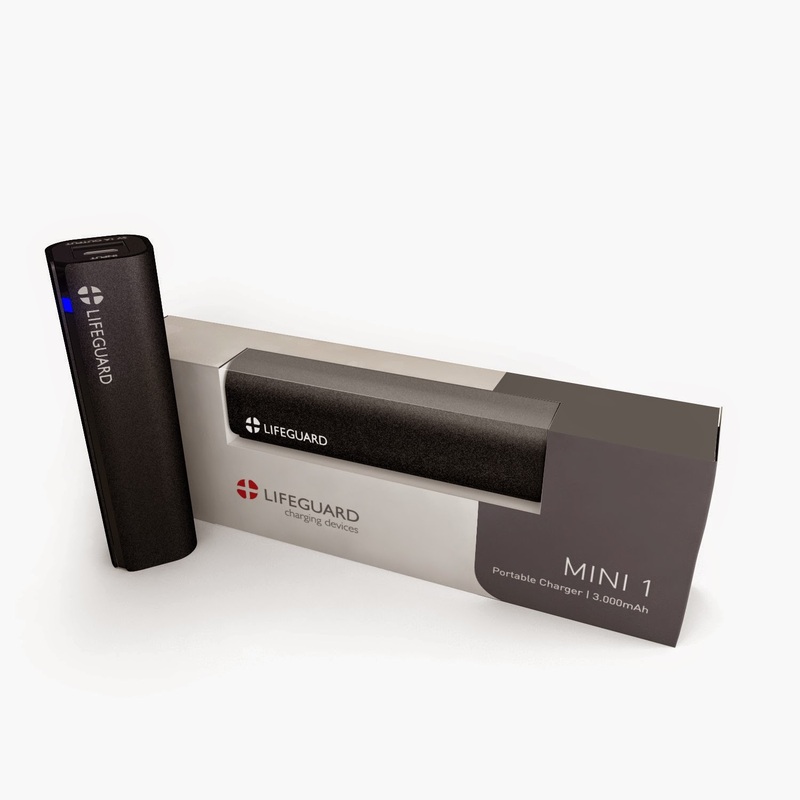 18-MONTH MONEY-BACK WARRANTY - The +LIFEGUARD MINI 1 Portable Charger has an 18-month money-back warranty and it carries the trustworthy +LIFEGUARD brand. You can count on the +LIFEGUARD customer service crew anytime and anywhere.